A Basic but beautiful Crochet Blanket! Change colours as you like, you can have it all 1 colour or every row a different colour! The Options are endless! Keep going until you are happy wit the size! Perfect for a knee rug, baby blanket or a gift! Notes... Such a fun, easy gift to make for yourself or friends! I love homemade blankets. This is great. Thanks mum. I will have a look on you tube and try this. It looks beautiful. 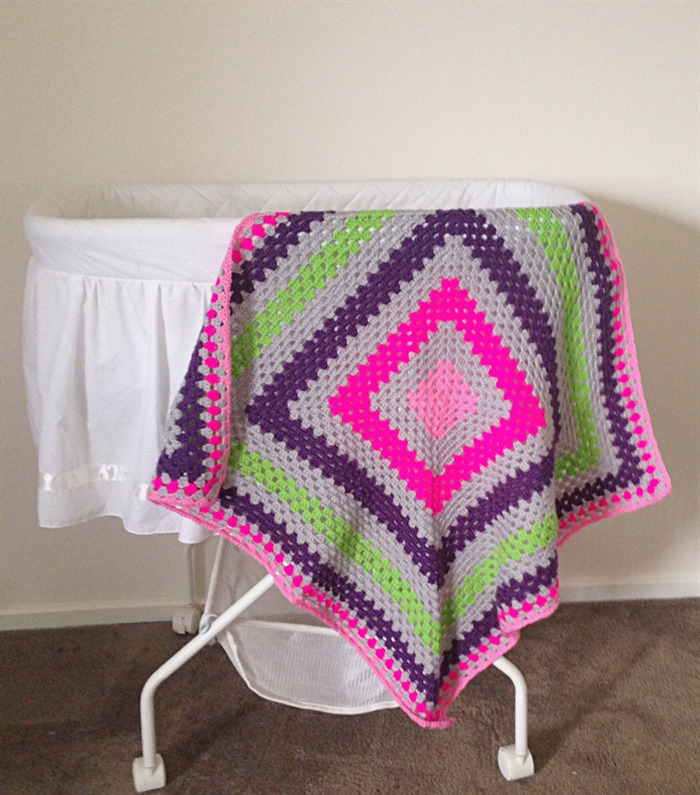 Made a beautiful crochet blanket recently – so much love for crochet blankets. How lovely and colourful. It just makes you happy to look at those colours. Thank you for sharing. This is gorgeous and I love love love the colours! It’s nice to know other people make these giant granny square blankets. Very sweet. My mum made one each for my kids. My late mother was always knitting and crocheting and now that she’s no longer with me, I love having all the things she made around me – I have lots of these rugs, bed socks, scarves etc. These rugs make excellent gifts and are very useful. This is great. I will give youtube a try and see how I go!